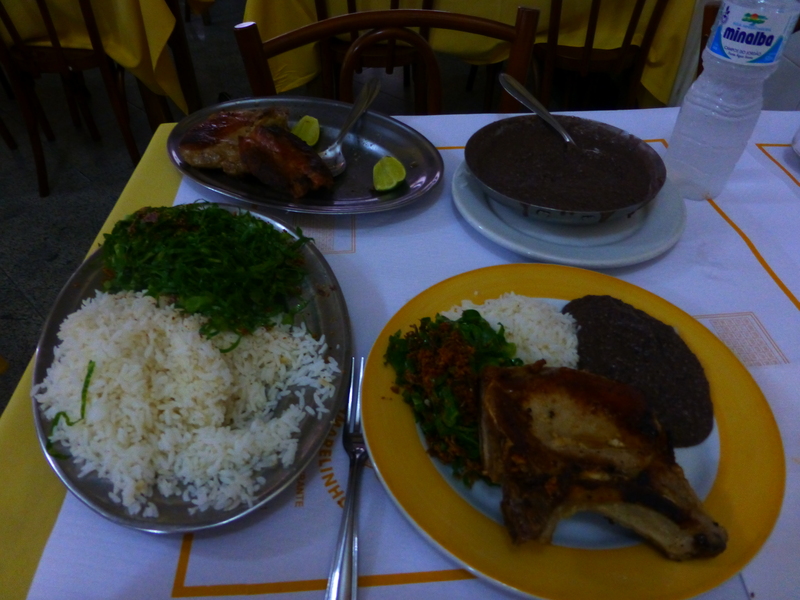 Brazilians take lunch seriously. That is another pork chop and a sausage on the back plate, a bowl of mashed black beans, a ton of rice and lots of cooked greens with crispy garlic. Oh, and I am eating by myself. At Bar Amarelinho on Rua Rio Branco. Published August 18, 2014 at 4320 × 3240 in Photo gallery. Post a comment or leave a trackback: Trackback URL.